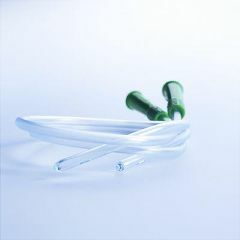 SpeediCath - The World's First Ready-To-Use Hydrophilic Coated Catheter. SpeediCath™ is pre-hydrated and ready to use right out of the package. Just open, cath and get on with your life. Each SpeediCath™ comes pre-packed in sterile saline solution and in an easy-to-open foil container you can take anywhere. Since SpeediCath™ is pre-lubricated, its coating is always optimally hydrated to be extremely slippery and extremely comfortable. easy to use. comfortable. they work. These are hydro pre lubricated so they slide in easily without any muss or fuss. I won't use anything else. I have occasional urine retention - I simply can't go. Things can get painful. That's when I need the catheter. The straight solution when you need it! You have to use it!. Before having to use an intermittent catheter I was given several samples to examine and try by my doctor. During this process I first noticed the packaging of the Coloplast versus the other manufacturers. The harden green material with a sticky pad to mount for ease of use made me feel more confident that this device was carefully designed, packaged and sterile. Knowing catheters can increase the risk of bacteria infections, I know I want to make the right choice to decrease the risk. Then when it stated it was pre lubricated which eliminates another step in the process, I immediately wanted to test it. I was very satisfied with the comfort and even more confident that if I have to continue using a catheter due to my situation, I wanted Coloplast SpeediCath Catheter to be my choice. On an even more positive note, I contacted the factory for information and was provided first rate service and even a follow up call to see how I was doing. Just makes you feel confident and secure about this product and the company. These are the best. I've tried others and they are not nearly as good as he speedi cath. Speedicaths come in a saline solution. What is the expiry date? The expiration date is two years from the shelf date on the product. Some boxes I bought recently had shelf dates of 10/2014 and expiration dates of 10/2016. If the expiration date turns out to be a problem, return the product. does the curve face up or down when inserting? The coude tip curves up when it's inserted so as to make it easier to get past the prostate into the bladder. How is spedicath for men packaged? Asked on Jun 11, 2014 9:30:49 AM by Shag from Fulton, Ky.
Packaged in metal foil filled with saline solution to keep hydrophyllic coating ready for use.